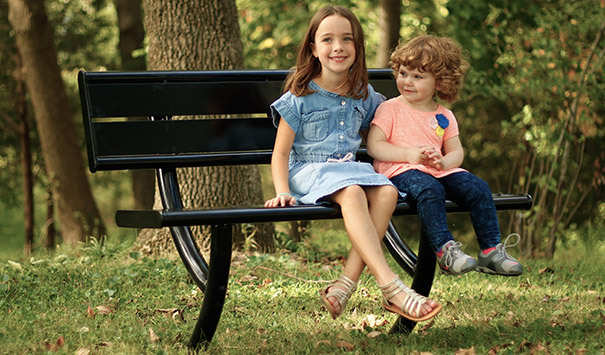 Inspire community with smart seating provided by park benches from the Hartford Collection. Expertly designed with contemporary style and durable materials, the upscale	horizontal slat bench seat and backrest accentuate the bold arched steel tube frame. 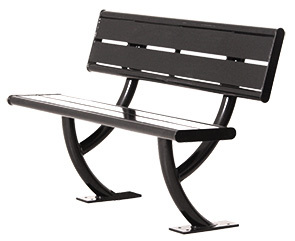 The MIG welded, all-steel 4' and 6' park benches are finished in a weather resistant, non-corrosive powder-coating, ensuring long-lasting performance indoors and outdoors. Built ready to meet the requirements for diverse array of architectural and landscape applications, both in-ground and surface mount configured models are available.